A year has passed since claiming his first major at the Lincoln Charity Clambake, but Bill Hook doesn’t want his preparation to be any different than how it was last June. The Knickerbocker Country Club Head PGA Professional will have a target on his back in a field with over 100 PGA Professionals this week at the Lincoln Charity Clambake, which will be at primary host Trump National Golf Club, Colts Neck, and secondary host Rumson Country Club. Hook is among the 10 past champions in the field that include Brett Jones of Due Process (2015), Brent Studer of Metedeconk (2003, 2014), Trump Colts Neck’s Bill Britton (2011, 2013), Suburban’s Mark McCormick (2001, 2010), Frank Esposito from Forsgate (2005-2007), Craig Lindsey of Madison (1999), Black Oak’s David Glenz (1988, 1996), Chris Dachisen of Core Golf Performance (1991), and Ed Whitman of Knickerbocker (1981, 2012). 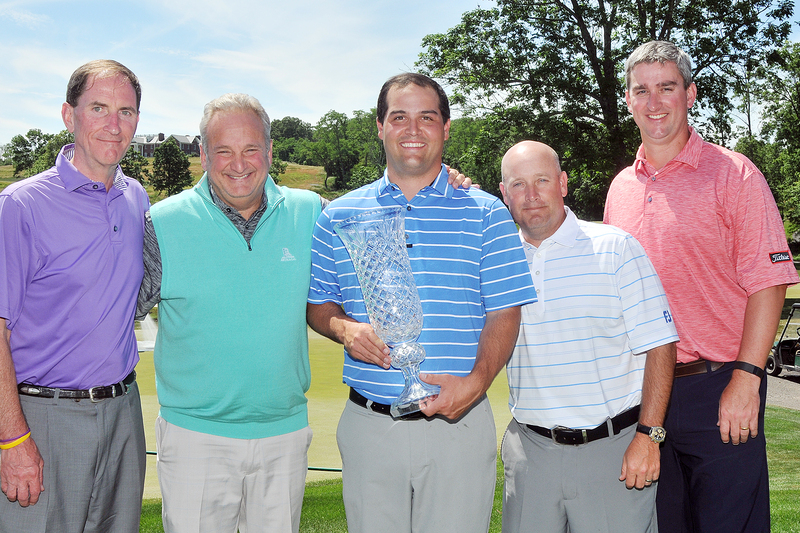 Since its inception, the Clambake merges PGA Professionals and club members in a pro am event over the course of the week. Hook will be teeing it up alongside his amateur partner, Michael Sean McGeary, for another year. Hook credited McGeary for helping his composure during the final stretch of the three-day, 54-hole event. Hook is nearly an hour from the tournament hosts this year, but has had success at Rumson, winning a one-day event in the past. Hook, who finished No. 7 in the OMEGA Player of the Year rankings last year, says his ball-striking is at the same measure as it was a year ago. He has had frustration, however, with his putting performance. “If I can get the putter going then I should have a good chance to contend,” Hook said.